In case someone hasn't said it recently, thanks again for hosting this! Hi Java, sorry I haven't been around for a bit. I've been busy as heck, but here I am again like a bad penny. lol Hope all is fine with you & yes thanks for hosting & have a great weekend. 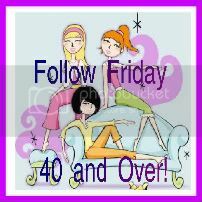 Well this week I am going to follow you because I love that you do this post! I have found some lovely people and some nice reads on a different continent to my own, and have had some overseas visitors to my blog too. Thank you! Java I think of you often and hope that you are smiling. Please stop by and add your lovely blog to my new blog list and enter the giveaway while your there too. I send you Bug Hugs!! Thanks for hosting, I love this hop! Hope everyone has a great Friday and wonderful weekend!